The ABM 2548 ABR-1 to M8 Tune-o-matic Conversion Posts have an 8 mm bottom thread and a 3.65 mm top to convert a guitar with an 'import' Nashville style bridge to a Gibson spec ABR-1 style bridge. 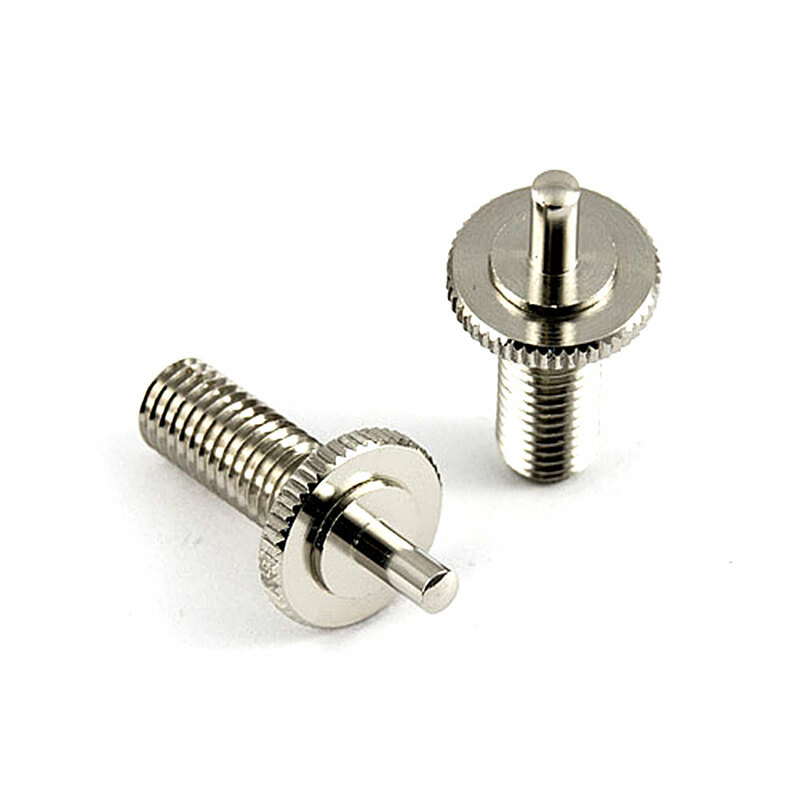 The 8 mm threaded section will screw directly in to the larger style body anchor bushings used by Gotoh and other metric 'import' guitar brands (Epiphone, Schecter, ESP/LTD etc.) and the ABR-1 bridge mounts on to the top of the conversion post, the built in thumbwheels adjust the height of the bridge.